Capture the exciting moments of your life with Gigastone UHS-1 Class 10 microSD card. The high-performance memory card has high data transfer speed up to 90MB/s and is designed to help you get the best results when shooting Full HD video and high-resolution photos. 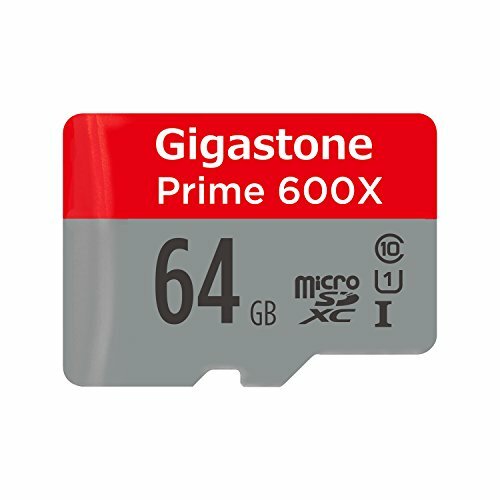 Gigastone memory cards are shock proof , water proof, X-ray proof, magnetic proof and capable of withstanding extreme temperatures. This kit is compatible with all major Smartphones that use MicroSD cards such as: Samsung Galaxy S5, S7, Note, Edge, LG, Motorola, Moto, Sony, Asus, Droid, ZTE, HTC, Huawei, basically most Android & Windows Smartphone with a MicroSD card slot. Also works great with Tablets, Cameras, Drones PCs, Notebooks, Macs and Mac books with SD Card slot. The SD adapter makes it easy to move files between mobile devices and computers for viewing, editing, and backup. Gigastone is a global brand selling more than 20 million products each year. Worldwide branches in USA, Japan, China, Korea, Taiwan. Up to 90MB/s read speed. High speed for Full HD 1080p recording and playback. If you have any questions about this product by Gigastone, contact us by completing and submitting the form below. If you are looking for a specif part number, please include it with your message.